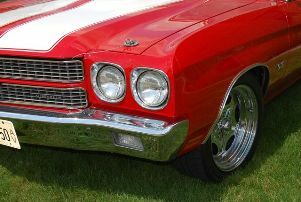 A high quality restoration of your Chevelle or Malibu takes more then time and devotion, it takes quality reproduction parts. There are many suppliers for replacement parts Abodywarehouse takes pride in hand picking our suppliers to ensure you get the very best product on the market. Be it weather seals or body decals and graphics rest assured we sell only the highest quality replacement parts on the market. The price you see is the price you pay shipping included to your door!